TOKYO – Toyota Motor Corp., the automaker most affected by Japan's record earthquake, is planning to build a new engine plant in the nation's devastated Miyagi prefecture and will transfer a subsidiary's production operations to the region. Toyota Motor Tohoku Corp., a wholly owned subsidiary of the automaker, will start building the new engine plant within a few years in Miyagi prefecture as car production ramps up at auto plants owned by the carmaker in the Ohira, Miyagi and nearby Iwate prefectures, said managing director Kozo Sakurai. "This kind of disaster occurs only once in a thousand years," Sakurai said in an interview at Toyota Tohoku's plant in Taiwa, Miyagi, which makes anti-lock brake systems, axles and suspension systems. "Earthquake risk is now higher for regions that haven't yet been hit, so this is actually a chance for the Miyagi region." Toyota unit Central Motor Co. began production of the Yaris compact at a new plant in Ohira in January as part of a plan to make the northern Tohoku region, which includes Miyagi and Iwate, a small-car production hub. Even after the magnitude-9 quake, which left more than 28,000 dead or missing, destroyed nearly 60,000 homes and triggered power shortages, the plan remains largely unchanged, said Makoto Moriya, in charge of Central Motor's production operations. 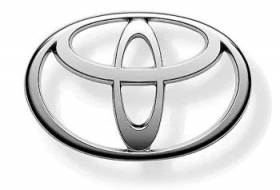 Toyota Tohoku had already secured 324,000 square meters (3.5 million square feet) of land in April 2008 adjacent to the Taiwa plant to build 200,000 engines for compact cars a year, according to Sakurai and the Miyagi prefecture. Toyota Tohoku and Central Motor, both wholly owned by Toyota, suffered limited damage from the earthquake because of stable land foundations and because their inland locations shielded them from the subsequent tsunami, Sakurai said. But equipment that wasn't bolted to the floor at Toyota Tohoku jumped up to 30 centimeters (12 inches), he added. The quake's impact on Central Motor's facilities was similarly minor, Moriya said. Central Motor will begin transferring a factory from Kanagawa prefecture near Tokyo, which will be shut, to Ohira by the end of April, a month later than originally planned, Moriya said. About 400 workers in Kanagawa will join 900 employees already in Ohira. Plans to add Corolla production at the plant are unchanged, he said. Electricity outages and a shortage of parts led all Japanese carmakers to shut down production in Japan, with Toyota losing production of 260,000 units from March 14 to April 8. The world's biggest carmaker is resuming output at all domestic plants on Monday at half capacity. As well as monitoring the supply of parts, logistics also need to be reconsidered, Moriya said. With substantial damage from the tsunami to Sendai Port, lead-times for parts deliveries may need to be lengthened or other ports may have to be explored, he said. Ohira is home to a variety of factories, including those of family restaurant chain Skylark Co., zipper maker YKK Corp. and Oki Electric Industry Co., which makes personal computers and ATM machines. None faced any significant damage, said Masahiro Atobe, mayor of the village. "With Central Motor opening its new factory and this being the year of the rabbit, we had great expectation that things would be hopping this year," he said in an interview at a kindergarten ceremony for new students on April 12. "But with the earthquake, things hopped in a different direction." Toyota suppliers have also built new factories in and around Ohira. Affiliate Toyota Boshoku Corp. began production of seats at a plant last month across the street from Central Motor. Primearth EV Energy Co., a joint venture between Toyota and Panasonic Corp., started producing batteries for hybrid cars at a new plant in Taiwa in January 2010. Toyota, which began diversifying its production base in Aichi prefecture in central Japan in the late 1980s to Kyushu in the south and Hokkaido in the north, wants to increase sourcing from more suppliers in the Tohoku region to ease logistics issues, Sakurai said. With the abundance of jobs, Ohira's population of 5,500 swells 40 percent during the day, Mayor Atobe said. Manufacturing makes up about 12 percent of Miyagi's economy, according to Governor Yoshihiro Murai. He had aimed to increase that ratio to 20 percent as a declining population and e-commerce undercut service industries, which account for 80 percent of the economy, he said in an interview in February. "I am very grateful that none of the companies here in Miyagi or those that were planning to move to Miyagi have pulled out since the earthquake," Murai said in an interview at his office in Sendai on April 12. Before March 11, Miyagi had been in talks with five other auto parts suppliers considering setting up factories in the prefecture. While those talks have been put on hold they are likely to resume in a few months, Murai said. To help the region back on its feet, Japan needs to help small- and mid-size companies with financing options such as low interest rates and long repayment periods, he said. "The Tohoku region has a very high-quality labor force," Sakurai said. "We definitely want to forge more ties with the local supply base."